Let's say you have a bunch of lines and you would like to extrapolate (guess data points beyond the range of the data set) them. 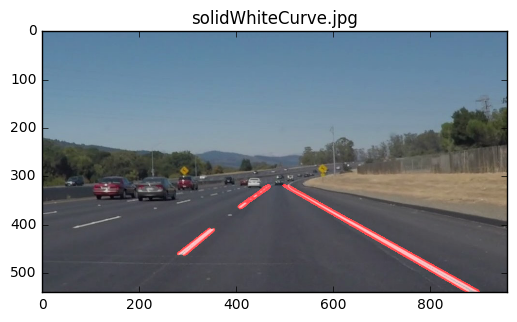 I had to figure this out for the Udacity Self-driving Car Nanodegree P1 Line Detection task. For simplicity, I am going to use these lines. The goal is to have one straight line from the top right corner to all the way down. First, separate x and y points. 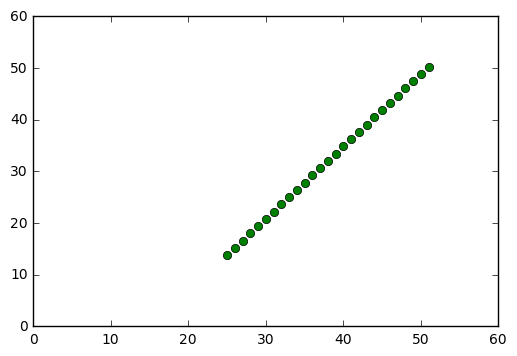 Then we can use np.polyfit to fit a line to these points. A straight line can be represented with y = mx + b which is a polynomial of degree 1.
which are the coeficients for y = mx + b, so m=1.40241735 and b=-21.23284749. 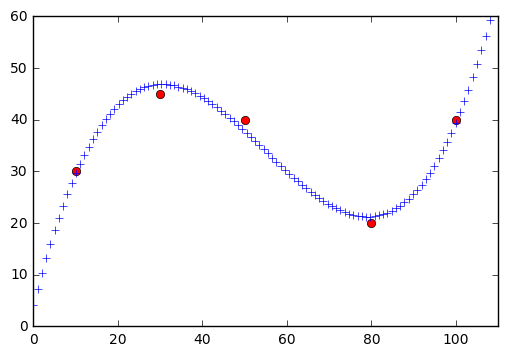 numpy has a handy function np.poly1d which can do the y = mx + b calculation for us. Instead of using range, we could also use numpy's np.linspace to generate a number of points for us. Or make it just one straight line because that's what we ultimately want. 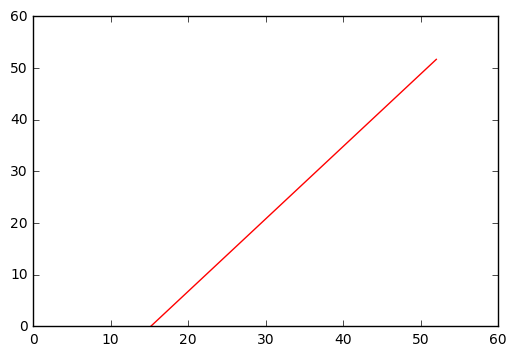 If return to the original question, how do we extrapolate the lines? Since we got a straight line, we can simply plug in points that are outside of our data set. When applied to the original task, it would like like this. 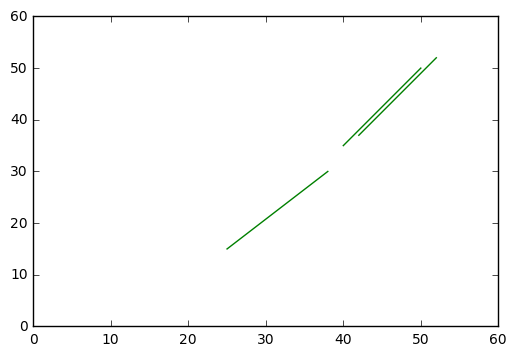 By the way, np.polyfit can also fit more complex lines. This time we need at least a polynomial of degree 3.